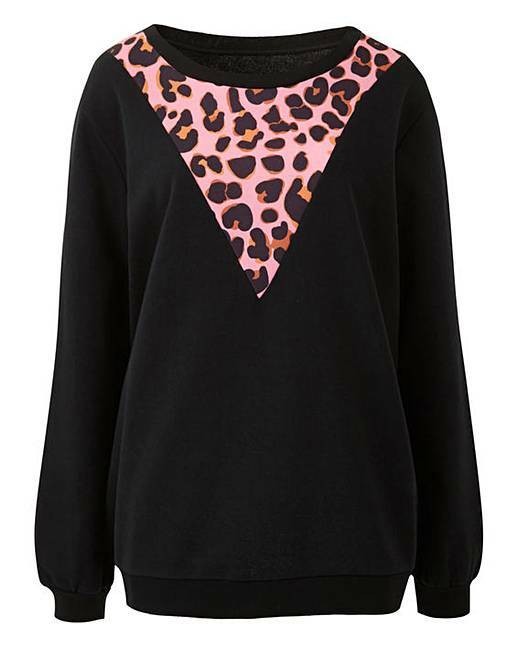 Add a pop of animal print to your wardrobe with this gorgeous Sweatshirt. 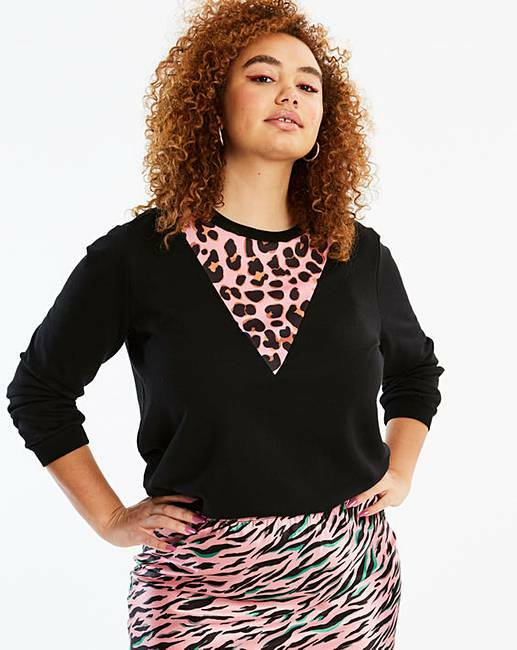 With a Pink Animal print panel, this sweatshirt looks great as a co-ord with our matching joggers (KQ697). In an easy to wear round-neck shape, this can easily be paired with jeans (VZ212) or why not try with our new bias-cut midi skirt (FK381). 30% of the purchase price will be donated to Breast Cancer Now, a working name of Breast Cancer Care and Breast Cancer Now, a registered charity (Nos 1160558, SC045584 and 1200). 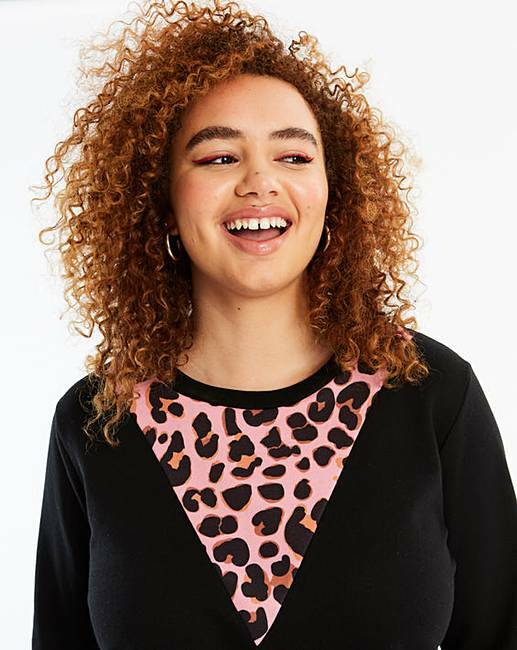 Fashion Targets Breast Cancer is Licensed by the Council of Fashion Designers of America, Inc./CFDA Foundation, Inc., U.S.A.
Main: Polyester. Contrast: 68% Polyester, 32% Cotton.